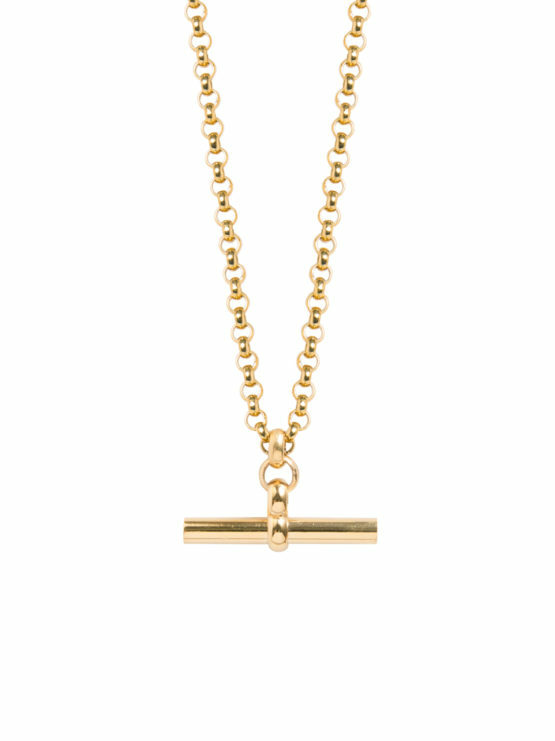 We love the chunkiness of this long solid 80cm belcher chain. It’s a real classic and will last you a lifetime. It’s balanced well by the T-Bar charm measuring 3.5cm in width and 2cm in height. Effortless, elegant and enviable too! Both the charm and the sterling silver chain have been plated in 23.5k gold. We have a years guarantee on all our plated items, so you do not need to worry about issues relating to this.